As discouraging as these times may be for fans of liberal democracy, the mood among liberal friends of Israel — including most American Jews — is more like severe heartbreak. Look one way and there’s Israel’s right wing carousing with European despots and Holocaust deniers while fanning racism at home. Look the other way and see the cream of the intersectional left cavorting with the reactionary bigot Louis Farrakhan while young rock-star progressives in Congress set about rebranding the Jewish state from ally into enemy and its supporters — meaning, again, most American Jews — into traitors. Important questions, and achingly timely. Strangely, “The Lions’ Den” does not really address them. The book is described in Linfield’s introduction, in the jacket copy and promotional material as an “intellectual history” tracing the evolution of left-wing thought that brought us from there to here, from, say, Pete Seeger to Ilhan Omar. But the actual book, the one sandwiched in between “Introduction” and “Conclusion,” is something quite different. It is, in fact, something more original, more interesting and probably more important than a standard intellectual history would have been. Why the book so misrepresents itself remains a mystery. The heart of “The Lions’ Den” is a series of individual portraits of iconic, midcentury left-wing thinkers who wrote extensively on the idea and reality of Jewish statehood. Six of the eight share overlapping biographies and experiences, which makes their very different intellectual journeys through the same historical thicket both instructive to today’s searchers and relevant to today’s crises. The other two, Noam Chomsky and the British journalist Fred Halliday, seem quite out of place here, yet another oddity in this volume. Both entered the arena in a later era, making their stories irrelevant to the book’s drama, and neither of them — the very Jewish Chomsky or the non-Jewish Halliday — participates visibly in the others’ intensely personal struggles with Jewish identity. The six overlapping profiles, on the other hand, tell such an intriguing story that the book’s marginal oddities fade in importance. Here they are: the German-born political philosopher Hannah Arendt; the mercurial, Hungarian-born novelist and adventurer Arthur Koestler; the great biographer and Trotsky admirer Isaac Deutscher; the combative American journalist I. F. Stone; the French Arabist journalist Maxime Rodinson; and the Tunisian-French anticolonialist philosopher Albert Memmi. All six lived through, wrote about and were shaped by the cataclysmic events of the mid-20th century: the rise of fascism, the Moscow show trials, World War II and the Holocaust, Israel’s independence and, significantly, the 1967 Six-Day War. All considered themselves socialists, some episodically, most as a lifelong identifier. All six were Jewish. All wrote urgently and at length about the Jewish history that was unfolding before their eyes. All wrote about the place of the Jew in the modern world, some dismissively, most with sympathy, all beneath the shadow of the Nazi genocide that was engulfing Europe and their own families. And, of course, all six dealt repeatedly and at great length with the question of Jewish statehood, or Zionism. Only two retained their views over time, the lifelong anti-Zionist Rodinson and the lifelong pro-Zionist Memmi. The other four changed positions as history changed, some from pro-Zionist to anti-, others the reverse and some repeatedly back and forth. Koestler, the champion change artist of the group, became a communist in his teens, then joined Vladimir Jabotinsky’s right-wing Zionist Revisionist movement, forerunner of today’s Likud, then returned to communism, then emerged as one of the world’s most influential anticommunists and returned to Revisionism. 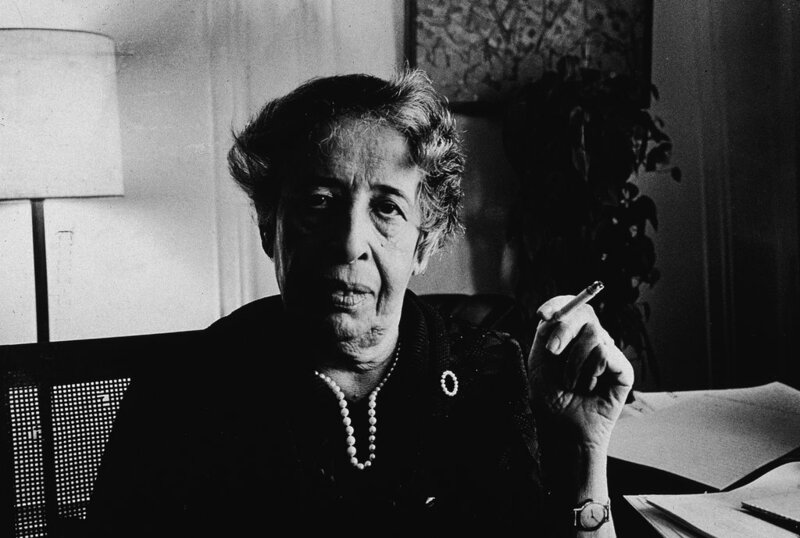 Arendt, the most famous and influential of the six, was converted to Zionism by Hitler’s takeover in 1933. Fleeing across Europe, twice escaping Nazi detention, she landed in New York in 1941 and began her long writing career. Initially a militant Zionist, she became less attached after Israeli independence in 1948, suspicious of nation-states and their abuses of power. Her book “The Origins of Totalitarianism” in 1951 established her worldwide reputation as a political philosopher. All of her contradictions came together in 1961 when she covered the Eichmann trial for The New Yorker, describing it as a “show trial” rather than a judicial exercise. Her version remains controversial to this day. Other profiles are no less dramatic. Deutscher, a Talmud prodigy during his childhood in a Polish shtetl, went on to become a translator of Hebrew and Yiddish poetry, then a communist, then a follower of Leon Trotsky’s heterodox communism and finally a globe-trotting British journalist. He abandoned his doctrinaire anti-Zionism following the Holocaust, was charmed during a 1954 visit by Israel’s revived Hebrew culture and kibbutz socialism, then turned bitterly hostile following Israel’s six-day victory in June 1967, even somehow forgetting his Hebrew and Yiddish. He died that August, unreconciled. I. F. Stone, the fabled Washington journalist, underwent a nearly identical reversal in 1967. Linfield claims uncertainty about how large a role the 1967 war and occupation play in leftists’ antagonism toward Israel. But these individual stories suggest that the legacy of 1967 cannot be overstated. Linfield is an associate professor of journalism at New York University and her writing combines the storytelling of a journalist with a scholar’s analysis of ideas. She repeatedly jumps in and argues with her subjects, point by point, giving each chapter the feel at times of a “Meet the Press”-type interview occurring across time. If the book has one problem it’s Linfield’s inability to recognize the significance of the document that she herself has produced. She tries to present it, particularly in her tacked-on introduction and conclusion, as foreshadowing and illuminating the tragic deadlock in Israeli-Palestinian coexistence. To be blunt, it doesn’t work. In fact, its success is in foreshadowing and illuminating a different conflict that has been simmering under the surface for a decade and has exploded into the headlines just in the early months of this year. 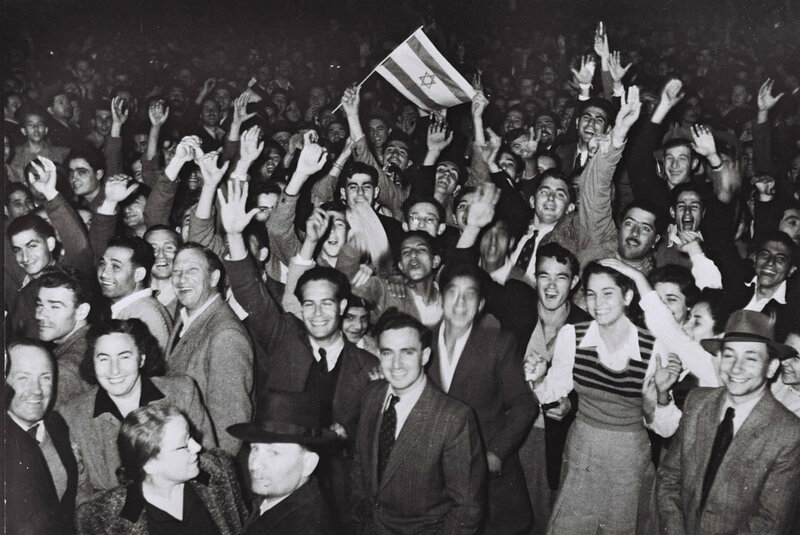 “The Lions’ Den” illustrates the individual struggles of Jewish leftists in the World War II generation to reconcile their conflicting impulses, the particularist pull of Zionism and the universalist pull of socialism. Their stories precisely anticipate the tension today’s Jewish liberals experience trying to reconcile their own pro-Israel particularism and their social-justice universalism. Linfield could not have foreseen, even a year ago as she was writing, the current predicament of Democrats caught between support of Israel and sympathy for the Palestinians, or — dare we say it? — between the affections of America’s well-established Jewish community and fast-rising Muslim community. Unexpectedly, her book appears just as its stories and lessons become urgent. J.J. Goldberg is the author of “Jewish Power” and former editor of The Forward. 389 pp. Yale University Press. $32.50. This entry was posted in MRSCP and tagged Human Rights, Israel Lobby by admin. Bookmark the permalink.